On July 24th, Utah celebrates Pioneer Day, commemorating the Mormon Pioneers who traveled 1,300 miles by foot and wagon train and finally settled in Salt Lake Valley in 1847. It’s a big deal in Utah– like a second Independence Day– with fireworks, parades, and festivals. Many local businesses even shut down for the day, including local banks. For those who feel out-of-place in Utah’s greater culture, and for most residents of Salt Lake City, it’s easy to feel outside of the festivities. Luckily, in the last few years, Salt Lake has embraced Pie & Beer Day to celebrate, maintaining the tongue-in-cheek, counter-culture spirit that makes Salt Lake wonderful. This year, more restaurants and bars than ever hosted Pie & Beer Day events. The most popular was Beer Bar‘s second annual Pie & Beer Day bash, featuring a Pie Pass (for 6 slices of pie!) from several local bakeries. 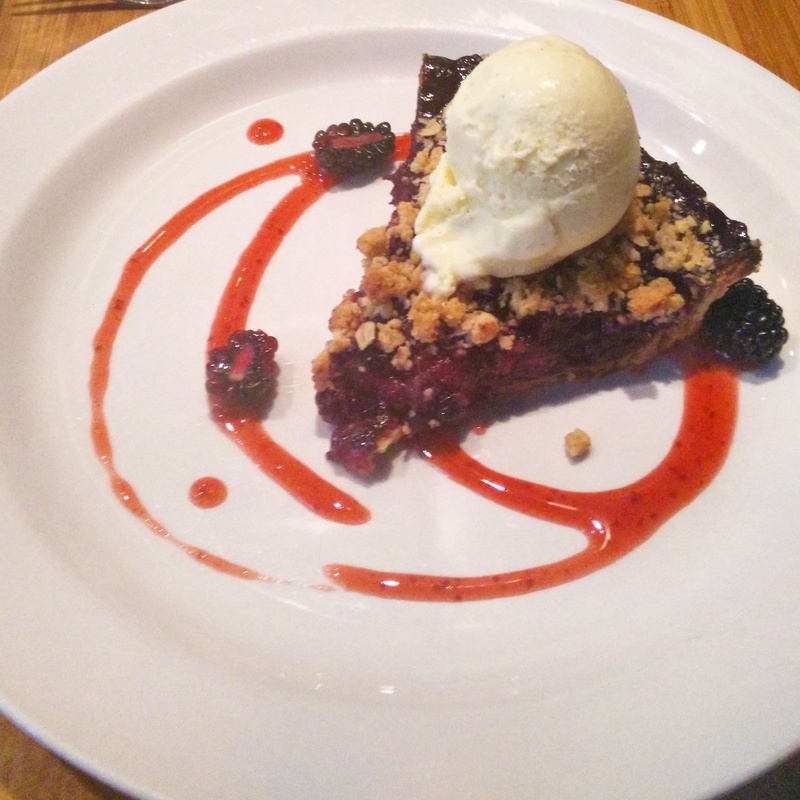 Behold: apple raspberry blueberry crumble with stout ice cream. 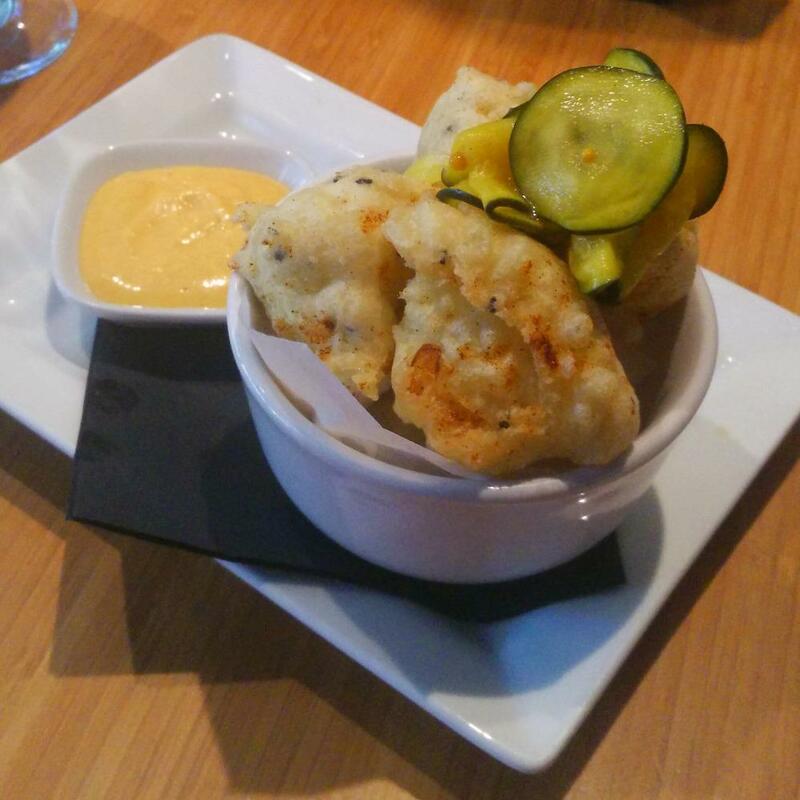 We might have also ordered cauliflower fritters with housemade pickles– yum! 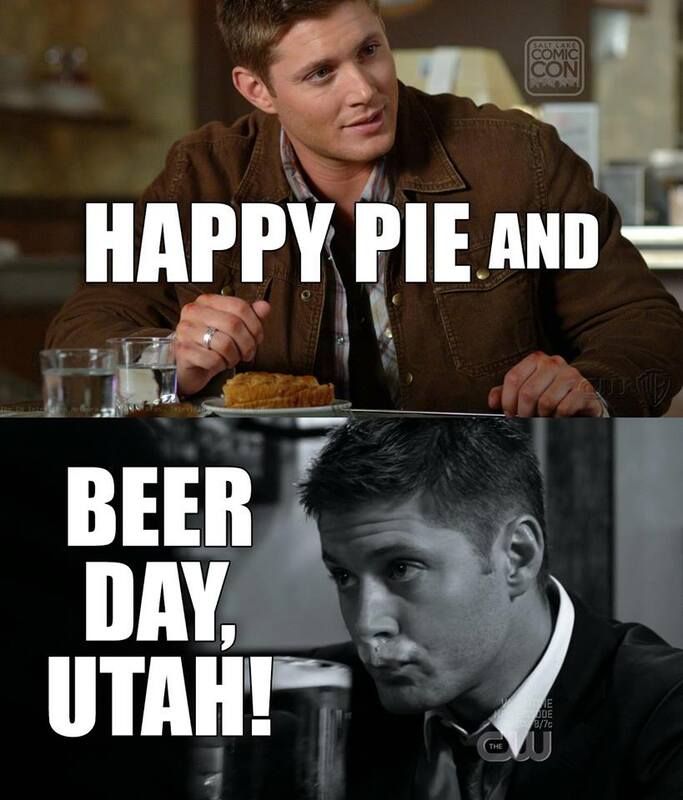 Utah’s Pie & Beer Day has started to attract nationwide media attention in Time, The Seattle Times, ABC News, and more. The holiday has even inspired big cities like Chicago to get in on the fun… because who wouldn’t want to jump at this opportunity? For me, the faux-holiday is part of the ever-growing list of things I love about my community. With a celebration built around food and snark, I’ve never felt more at home.